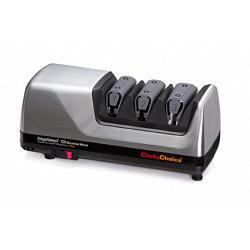 The brushed metal Chef's Choice 120 diamond hone Edge-Select electric knife sharpener sharpens both straight edge and serrated knives (20 degree class) and features 3 sharpening stages with precision angle control. The sharpener has 100% diamond abrasives in stages 1 and 2 and a unique stropping and polishing stage3 for hairsplitting sharpness. 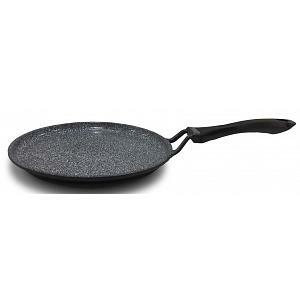 The edge-select feature allows choice of optimum edges gourmet, butcher, sporting, and serrated knives. The Chef's Choice knife sharpener is unbelievably fast, provides foolproof results and highly durable edges. The easy-to-use sharpener has a 3 year warranty.